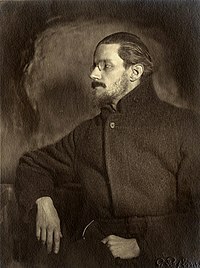 James Augustine Aloysius Joyce (February 2, 1882 – January 13, 1941) was an Irish novelist, short-story writer, and poet. Simple: Although poetry is fantastic, it is against artifice and actuality. ↑ "James Clarence Mangan" (1902) a lecture on Mangan delivered at the Literary and Historical Society, University College, Dublin (February 1, 1902) and printed in the college magazine St. Stephen's. This page was last edited on 4 October 2009, at 11:36.